Discussion in 'Hunting' started by Armymark, Sep 21, 2012. Hello all, I'm new here and thought I would share a couple of pics from my Caribou hunt this year. 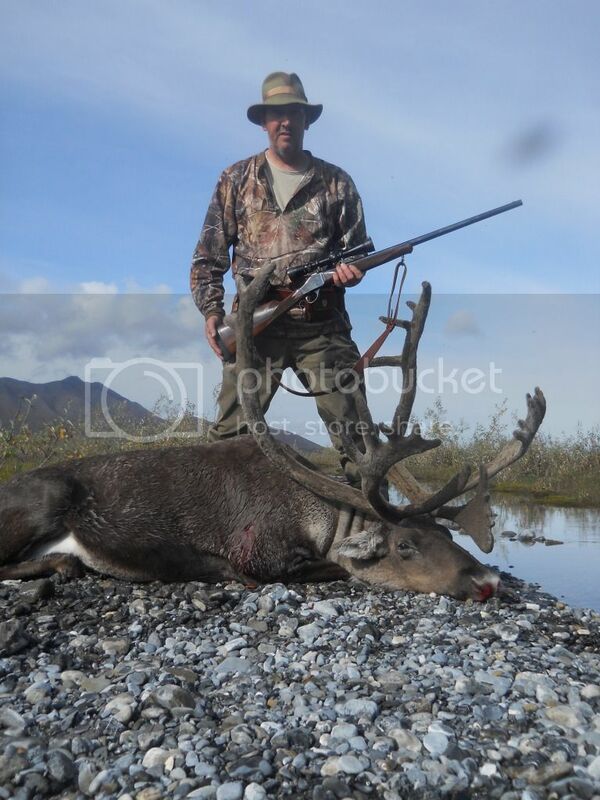 I live in Alaska and take two Caribou a year to get through the winter. I live in anchorage so it's not like I'm off the grid but a couple bou in the freezer save a lot on beef! Add a few salmon and all I need is to subsidise with some chicken... anyway, I fly in every year with some buddies and here are the pics. One is with my 1885 in 30.06 and was taken from 382 yards. tThe other was with the 45.70 at 124 yards. Nice shooting, armymark. How much does a male caribou normally weigh? And welcome to the Browning Owners Community!!! Hello Billy, a mature bull is about 400-500 pounds. The two in these pics are younger bulls and I don't think they were more than 300 lbs. They dress out boned at about 150-180 pounds of good meat. And thanks for the welcome. I just found this site and it looks like I may be hanging out here. now that's just plain old cool! Welcome to the Browning Owners Forum bernhardz !! I love those single shots. Solid looking pair. Oh, and nice meat. Liked your report. 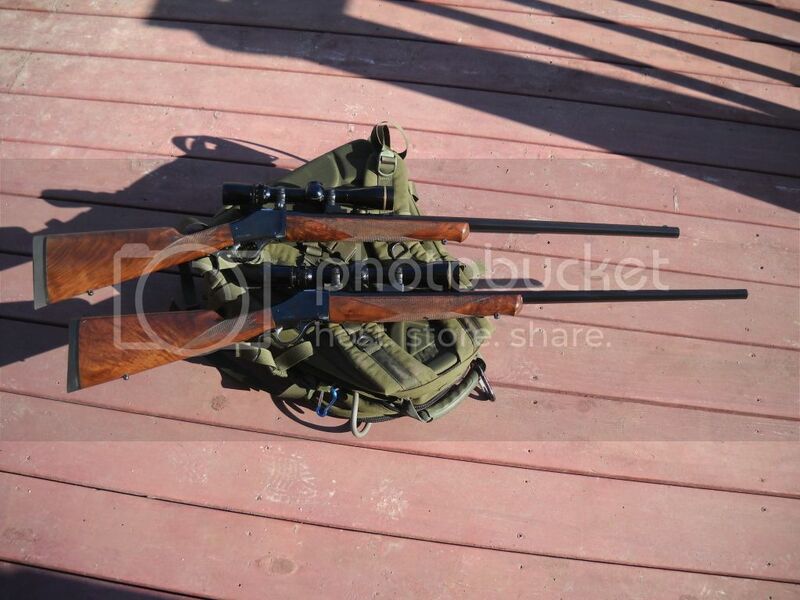 I just got an 1885 in 30-06 with Burris scope and am looking forward to taking whitetails with it this fall. Good shooting!